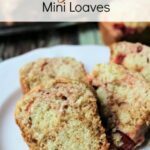 Cherry Bread Mini Loaves perfect for lunch or snack, this bread is easy to make and delicious to eat. This post contains affiliate links. You can read the disclosure here. Cherry Bread Mini Loaves was yet another baking adventure with Caleb, 4. He loves to “make” in the kitchen with me and is always wanting something to help put together. Caleb, of course, wants to make everything with chocolate chips and marshmallows. The children enjoy taking mini loaves in their lunches. I like it because it is a good substitute for a sandwich or it is a great snack. The mini loaves also make a great breakfast. 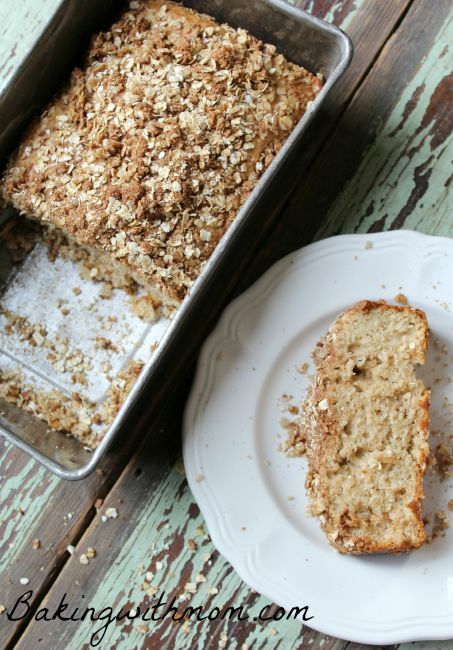 Pair it with a banana or orange and you have breakfast to go. The bread recipe is simple, the idea delicious. I used canned cherries, like for a pie, and stirred it into the bread batter. (Or I should say, Caleb stirred!) We baked the cherry bread mini loaves at 350* for about 25 minutes. The result was a sweet, yummy baked bread. 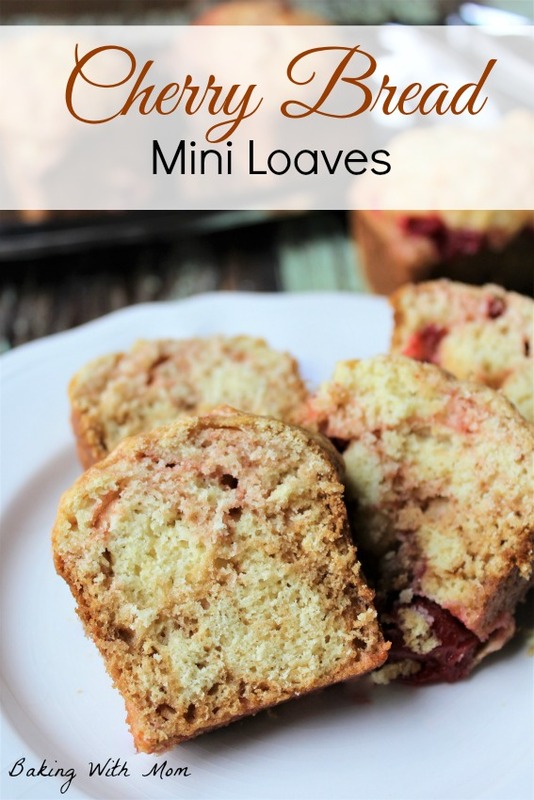 Cherry Bread Mini Loaves is a sweet bread made in a mini loaf pan. Perfect for school lunches or snack.